Get set for your Asian Adventure on some of our Singapore Cruises to and from the Island Nation. Home to over 4.6 million people, Singapore is a must stop on your Asian Cruise holiday. Options could include a South East Asian Adventure, a Cruise from Singapore to Sydney, or head North on a Dubai or London holiday. Japan is also a great choice for those wanting some unique Asian experiences through the South East. Our Last Minute Cruises to Singapore could have you sailing away within a day! The island nation has a warm and humid climate throughout the year with average temperatures of around 31oC. The official Currency is the Singapore Dollar (SGD). Royal Caribbean sails from Perth to Singapore with stopovers at Port Hedland, Ho Chi Minh and Bangkok. 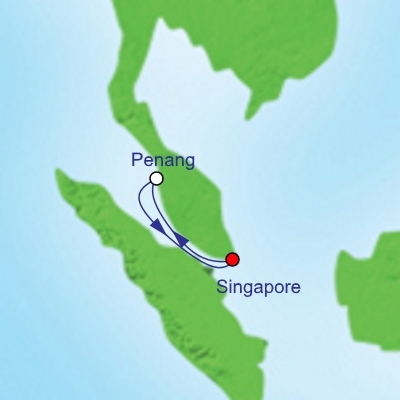 If you are looking for a Short Cruise from Singapore or a Weekend Cruise, Royal Caribbean has a fun filled 3 Night Cruise from Singapore to Malaysia. Royal Caribbean has a large number of cruises departing Singapore including a sailing to Dubai. 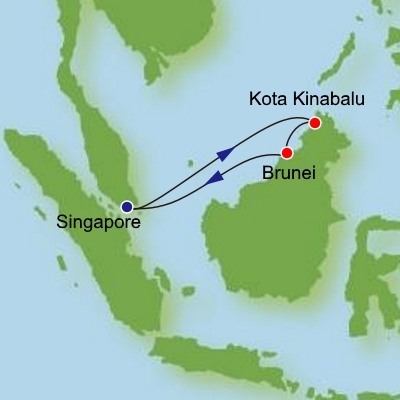 P&O has some Cruises from Singapore to Brisbane and Cairns, but also a number departing Singapore through South East Asia. Carnival has 15 night Cruises from Singapore to Sydney onboard the Carnival Spirit stopping in Bali, Darwin and Brisbane. This is one of the best cruises from Singapore to Australia which is often on sale at up to 50% off. 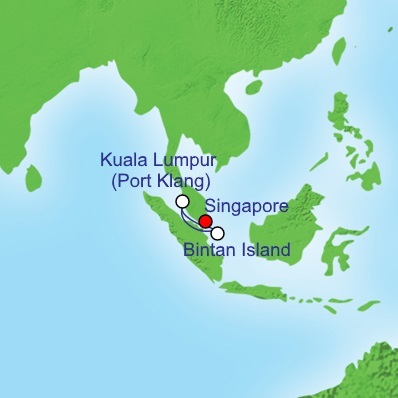 Princess Cruises operates cruises to Malaysia, Thailand & Vietnam with stops in the main tourist hubs including Ho Chi Minh, Phuket, Kuala Lumpur, Penang and Bali. Princess also offers a Grand Tour of Southeast Asia on a 21 night cruise from Singapore stopping at the most popular cruise ports in Vietnam, Malaysia, Indonesia (Bali), and Thailand. Princess also operates a Cruise from Singapore to Perth and a 19 night Asian Cruise from Sydney to Singapore. Silversea has a number of options with stopovers in Bangkok & Koh Samui (Thailand), Ho Chi Minh and Nha Trang (Vietnam), and Hong Kong. Azamara operates some interesting Cruises from Singapore to Indonesia with stops in Lombok, Semarang, Celukan Bawang (Bali) and Komodo. Celebrity offers a 14 night cruise from Singapore to Hong Kong with stops in Thailand and Vietnam. They also run a number of cruises within the region visiting Malaysia, Thailand, Vietnam, and the Philippines (Manilla & Boracay). An Australian cruise is also included in the list to Sydney. 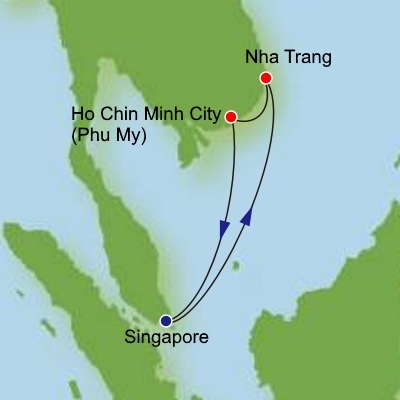 Holland America also offers a large list of South East Asian Cruises from Singapore. For longer cruises out of Singapore, Holland America offers a 47 Night Cruise from to Florida USA (Fort Lauderdale), and 48 night sailing to Vancouver. *Prices on this page are not real time and are subject to change due to demand, availability and technical limitations. Please refer to main booking page for more accurate pricing. Shop to your hearts content on Orchard Road. Sample some famous Singaporean chilli crab or eat from a hawker stall. Sip on a Singapore Sling at the world famous Raffles Hotel. Take a trip to Sentosa Island.